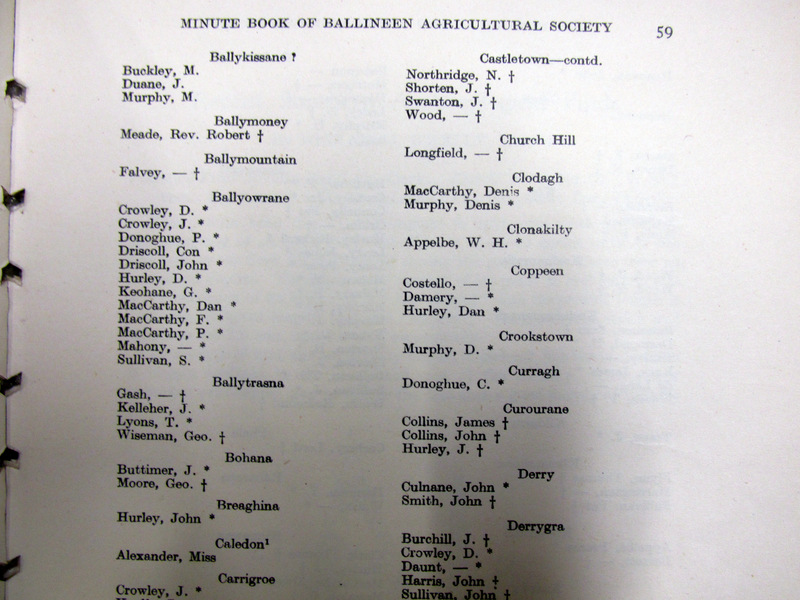 Minutes of Minutes of Balineen, Co. Cork, Agricultural Society 1845-7, ordered that pamphlet on turnips be translated into Irish for some of the Protestant famers, Co. Cork, Agricultural Society 1845-7, ordered that pamphlet on turnips be translated into Irish for some of the Protestant famers, turnips, flax growing plight of labourers, attendance by name and townland 1847 contrasted with 1946 location of families. 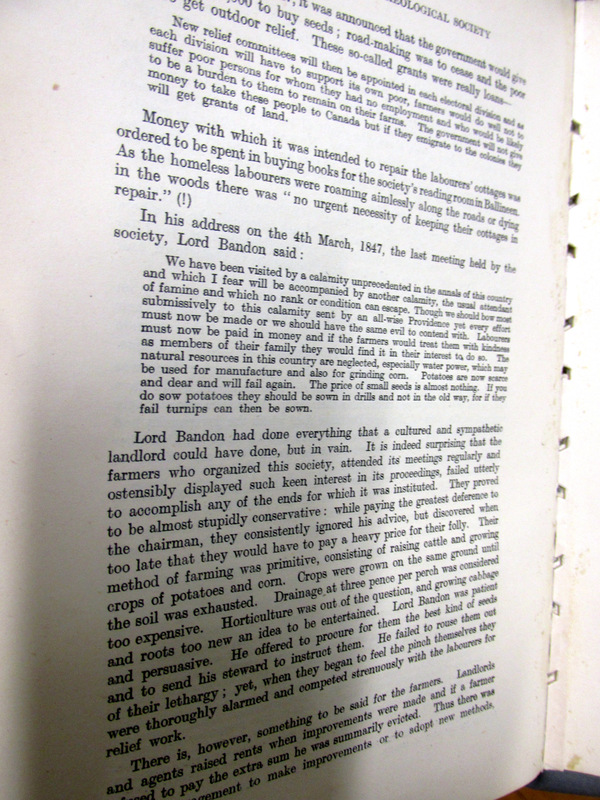 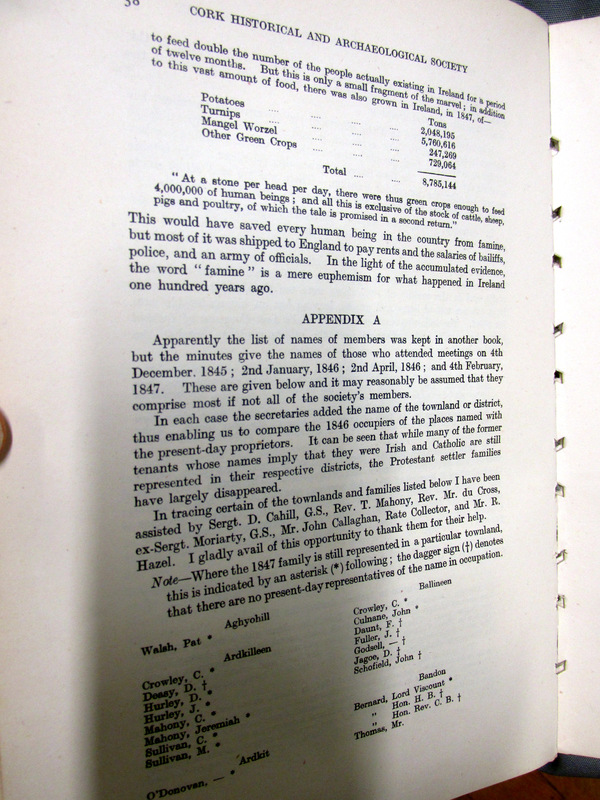 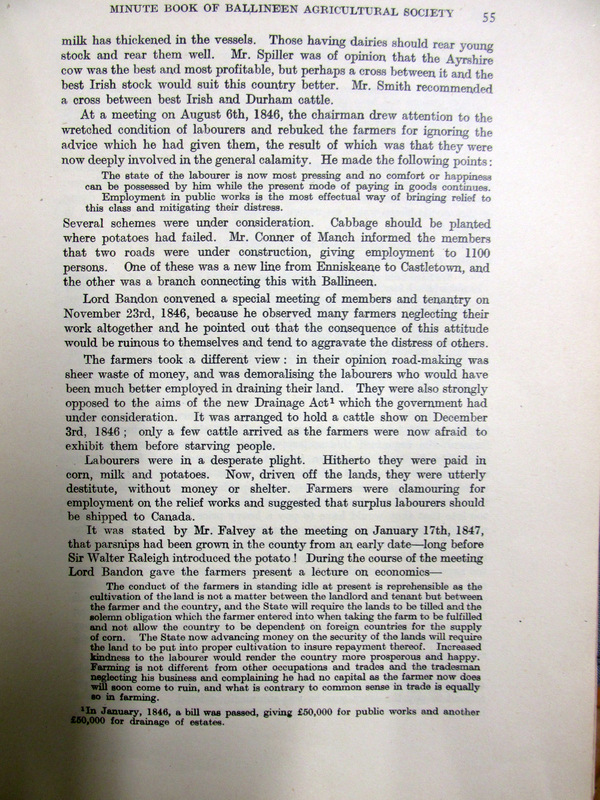 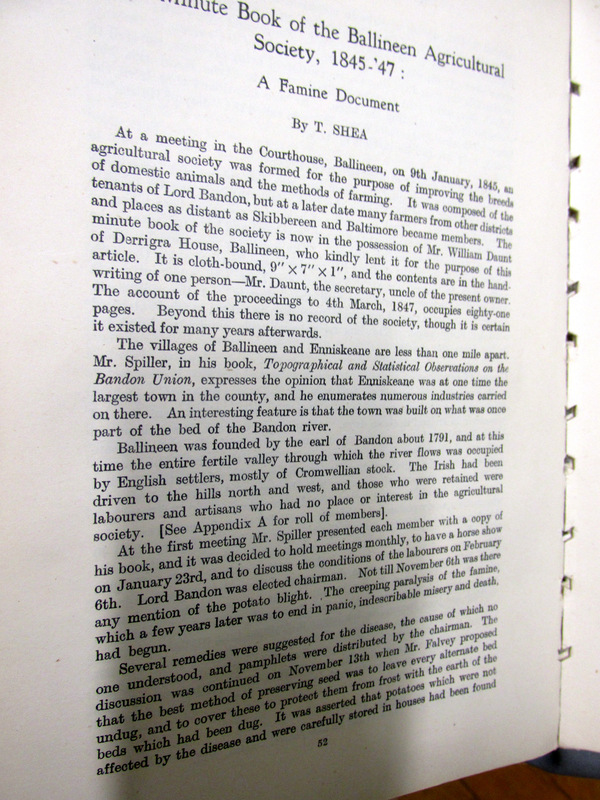 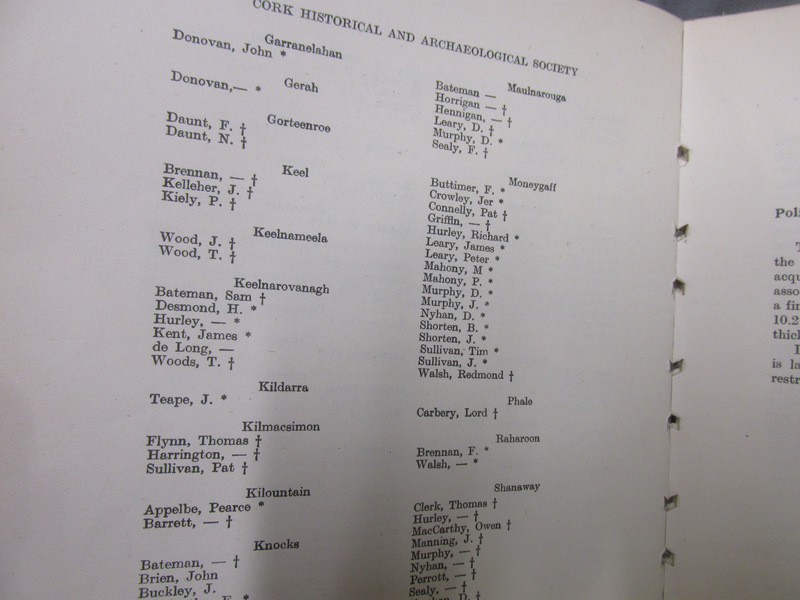 Minutes of Balineen, Co. Cork, Agricultural Society 1845-7, ordered that pamphlet on turnips be translated into Irish for some of the Protestant famers, turnips, flax growing plight of labourers, attendance by name and townland 1847 contrasted with 1946 location of families. 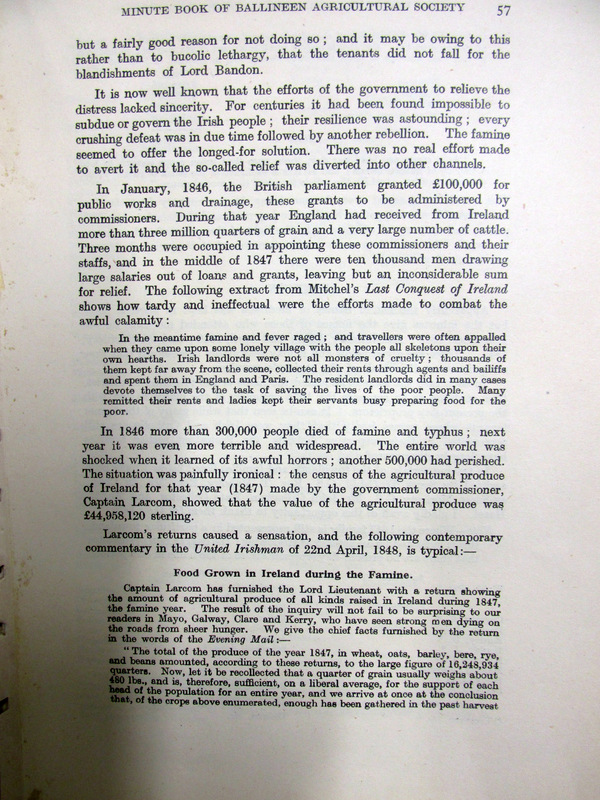 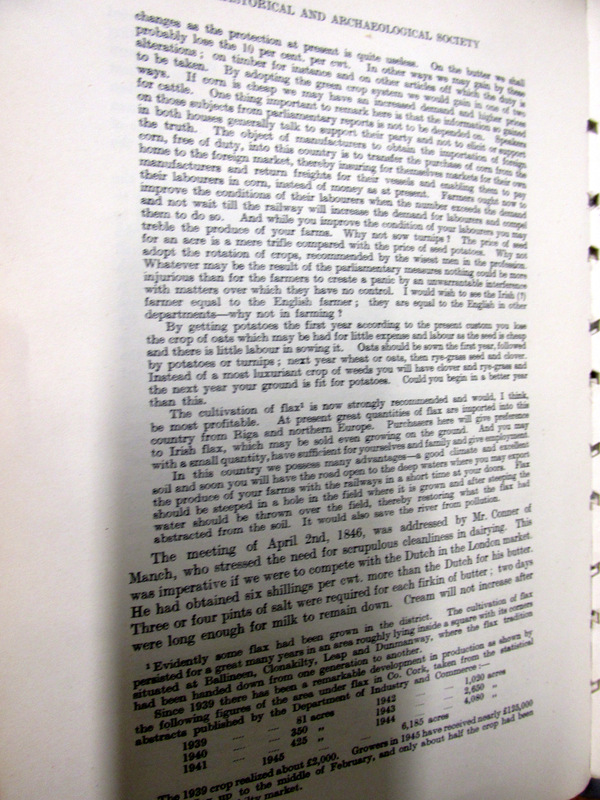 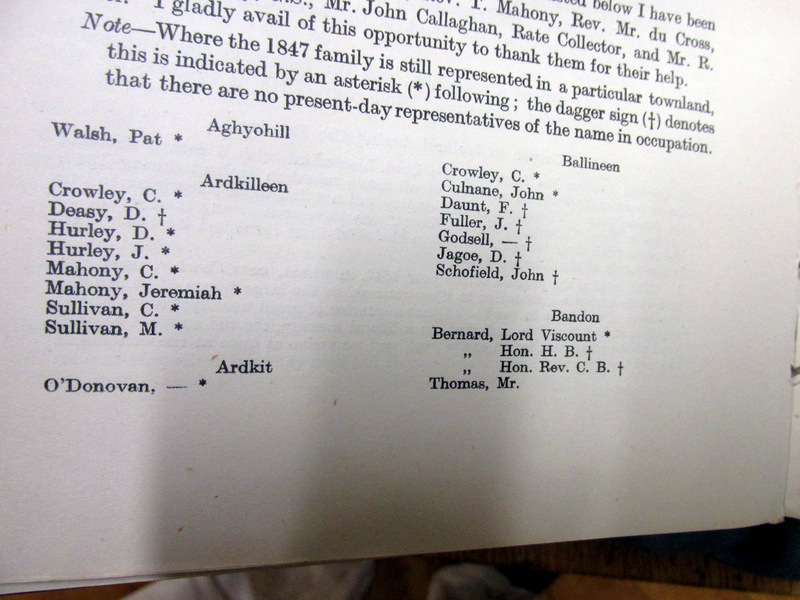 The author was somewhat surprised at the use of Irish among some of the ‘settler’ famers. 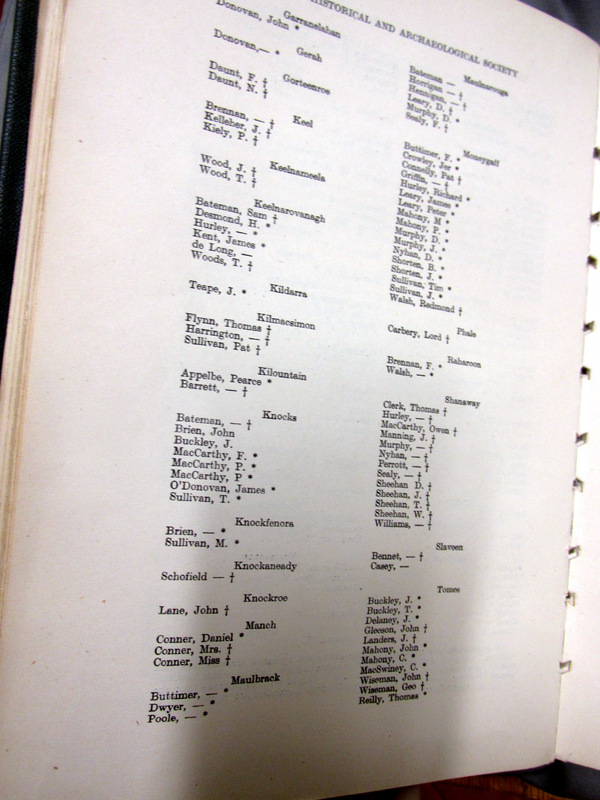 In some of the adjoining Church of Ireland parochial records there is phonetic rendering of the Lord’s Prayer in Irish. 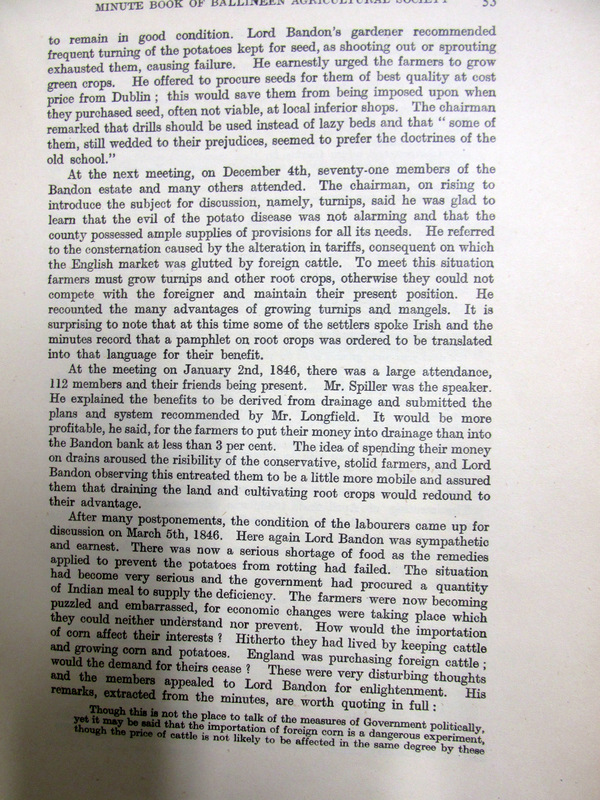 The Society attracted farmers from other parts of West Cork. 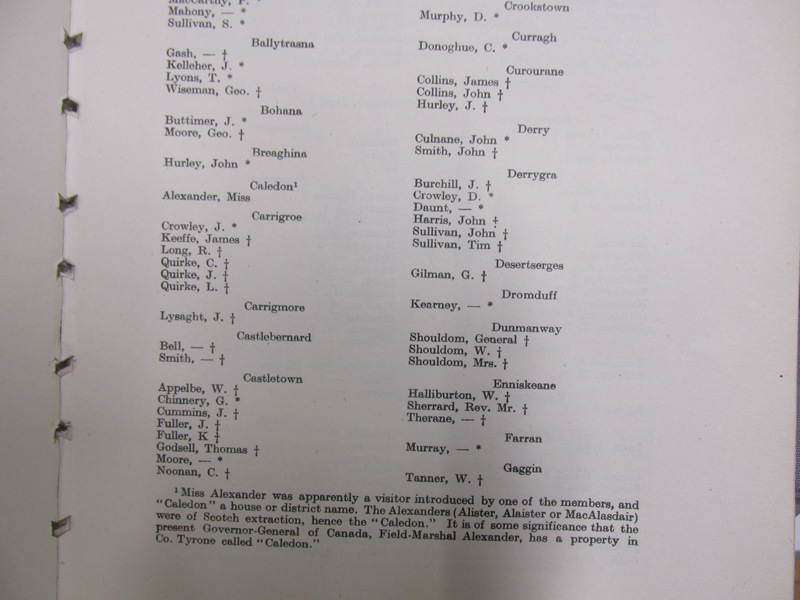 For example Jeremiah Crowley from Ballyourane in Caheragh a very substantial tenant of Lord Bandon.